With the launch of Intel’s Seventh Generation Core series processors codenamed Kaby Lake, Intel has also introduced some new motherboard chipsets for them. These new chipsets comes with some improvements, extra features and offers a better performance over the older chipsets in skylake motherboards having LGA 1151 socket. The new chipsets for LGA 1151 Socket motherboards (for PC users) include Z270, H270, B250 and revamped H110. 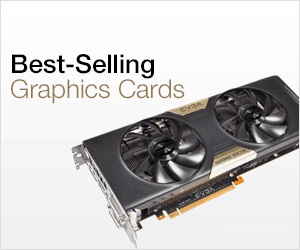 These chipsets are available for consumer motherboards that amount for the largest number of sales. 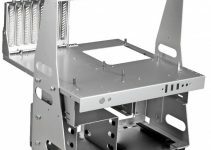 Older chipsets for LGA 1151 motherboards for Skylake Processors include Z170, H170, B150 and H110. All latest Kaby Lake Motherboards does fully support Intel Skylake processors but the reverse is not always true. So here in this post I am going to provide you the list of best Kaby Lake motherboards under 100 and up to 200 dollars. Note: Skylake Motherboards can support latest Kaby Lake Processors with a BIOS update. Also you must note that only Z series motherboards support Overclocking for both processor and memory. Here are the top budget Kaby Lake motherboards having LGA 1151 Socket Type supporting 6th & 7th Generation Intel Core i7/ i5/ i3/ Pentium / Celeron Processors. These budget Budget Kaby Lake Motherboards are based on the Intel B250 and H270 chipset. These LGA 1151 kaby lake motherboards offer good performance at lower price and is good for budget and mid-range Gaming PCs. 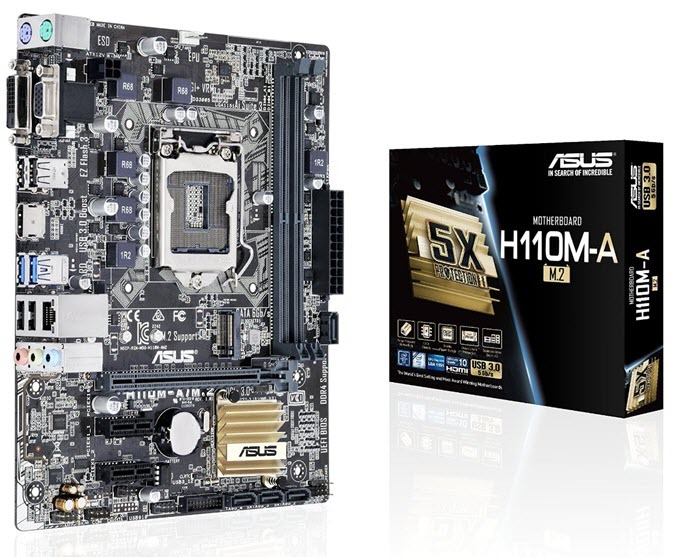 H110 is the entry level chipset for Skylake and Kaby Lake processors. This is one of the best budget motherboards for Socket 1151 processors around. This motherboard comes with almost all the features that you need for basic and mid-range PC whether or business. 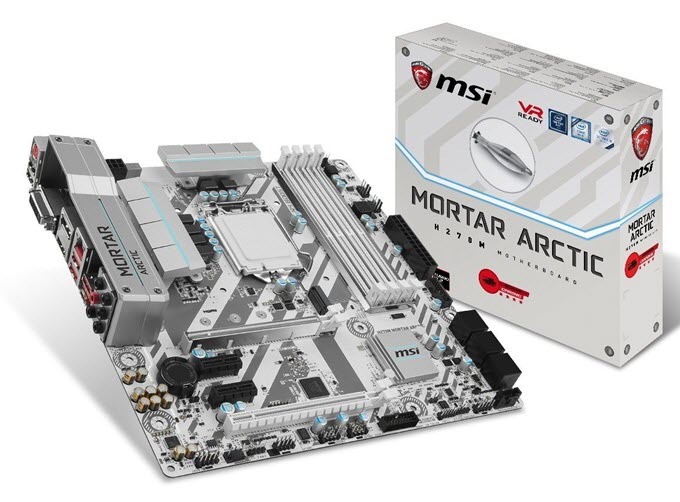 This motherboard also comes with M.2 Socket 3 for 2242/2260/2280 SSDs. It supports the latest DDR4 RAM. This is a micro-ATX motherboard which means you will not face any issues in fitting this motherboard in a regular ATX case. Note: You may want to upgrade the BIOS if the H110 motherboard is not supporting the latest Kaby Lake Processors. 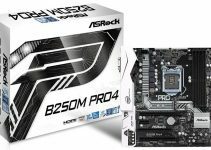 B250 is the latest budget motherboard chipset that is aimed at users who want an affordable gaming motherboard. This is a newer range of chipset designed especially for latest Kaby Lake processors but you can also run Skylake processors on it as well. 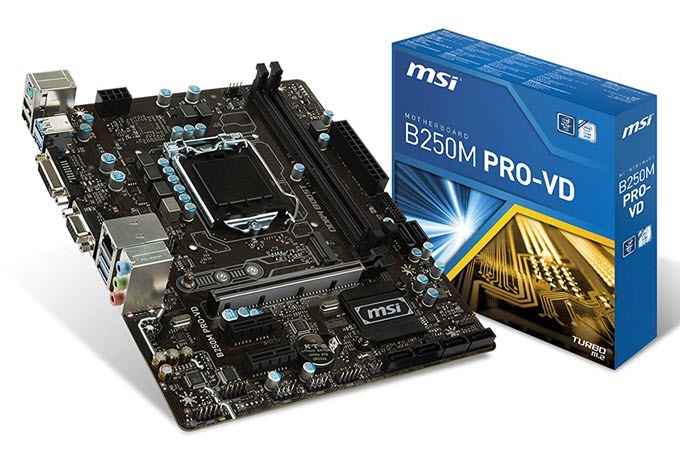 Here we have MSI B250M PRO-VD Motherboard which is a budget Kaby Lake motherboard having micro-ATX form factor. This is a great motherboard for users who want a build a budget gaming PC with Skylake and Kaby Lake Processors. This motherboard comes with almost all the expansion slots and ports including a M.2 slot for super fast M.2 Solid State Drives and Intel Optane Memory. The motherboard supports DDR4 RAM and comes with UEFI BIOS. It is Windows 10 Ready motherboard and you can check it out from the link given below. This is one of the best budget gaming motherboards you can get at this price range. 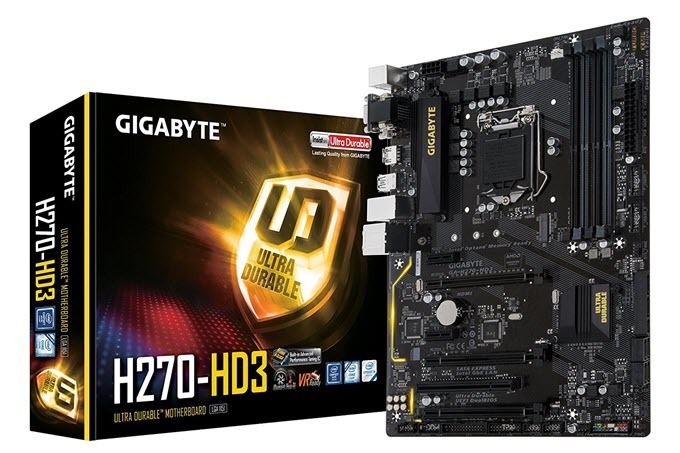 Gigabyte GA-H270-HD3 is based on the Intel H270 chipset which is a mid-level high performing intel chipset for Gamers. This is the only motherboard in this budget that supports CrossFire which is the multi-GPU technology from AMD. It can support two AMD Graphics Cards in 2-way CrossFire mode. This high quality motherboard also comes with Ultra fast PCIe Gen3 x4 M.2 slot (up to 32Gb/s) for connecting super fast NVMe SSDs and Intel Optane SSDs. This is a full sized ATX motherboard so it is bigger in size and you will need a good ATX computer case to fit this motherboard in. This DDR4 motherboard comes with many features including Smart Fan 5. This is one the best affordable gaming motherboards based on the H270 chipset. This is a fancy looking kaby lake motherboard that comes in all white color. This a micro-ATX motherboard that has got really high quality components. This gaming kaby lake motherboard supports 2-way AMD CrossFire multi-GPU technology, M.2 SSDs, Intel Optane Memory and more. The motherboard comes with Ambient RGB LED lights that look very cool on this gaming motherboard. Another special thing about this gaming certified motherboard is that is comes with Type-C and Type-A USB ports. Highly Recommended by me. Here are the best gaming Kaby Lake motherboards that you can buy under 200 dollars for extreme gaming performance. All the below mentioned kaby lake motherboards are based on Z270 chipset and fully support Overlocking and multi-GPU configuration that includes SLI from Nvidia and Crossfire from AMD. 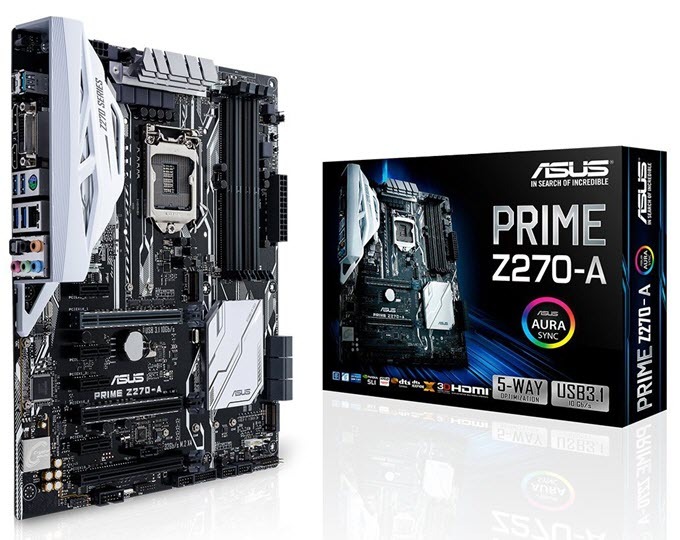 This is one of the best affordable Z270 motherboards that you can get for your gaming PC. Z270 is the latest high-end motherboard chipset for Kaby Lake and Sky Lake processors. Z270 chipset supports overclocking, multi-GPU setup, M.2 / U.2 slots and Intel Optane Memory. The motherboard supports DDR4 memory up to 3866 MHz (OC). This is a high quality ATX motherboard from Asus that comes with great amount of features. This motherboard from Asus comes with three PCI-E x16 slots that support 2-way SLI and 3-way CrossFire setup. It supports Intel Optane Memory and has got dual M.2 slots @ 32 Gb/s. Other striking features of this motherboard include AURA Sync RGB lighting, USB Type C / A, On-board 3-D printing mounts and more. This is high performance Z270 gaming motherboard from MSI. 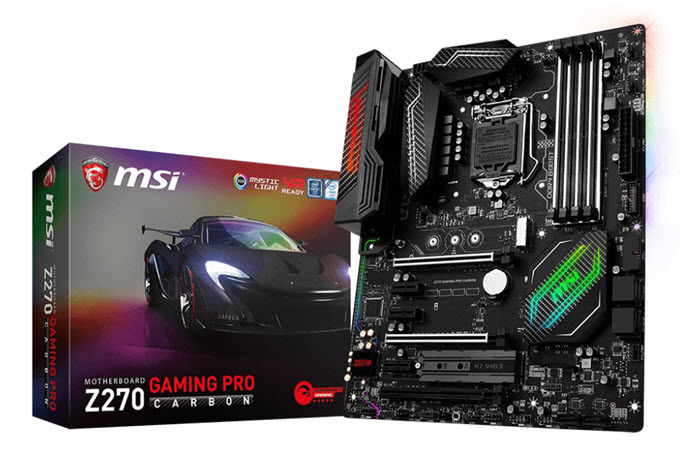 MSI Z270 GAMING PRO CARBON is full sized ATX motherboard that comes with all the features that you would expect in a gaming motherboard based on the Z270 chipset. 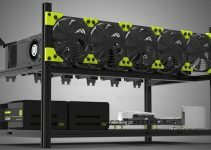 The motherboard supports both Nvidia SLI and AMD Crossfire multi-GPU technology, DDR4 3866+ (OC) memory, Intel Optane Memory, RGB LED lighting, VR and more. The motherboard is decently prices and you may be able to find it under 200 dollars mark. This is a top gaming motherboard from the Gigabyte’s AORUS Gaming brand. This is one of the best Z270 gaming motherboard that you can buy under 200 dollars. This ATX gaming motherboard supports overclocking and comes with all the features that you need in a high-end gaming motherboard. 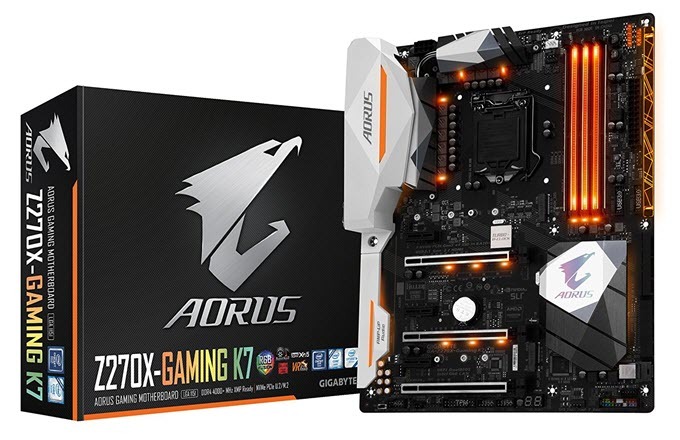 AORUS GA-Z270X-Gaming K7 motherboard supports 2-way SLI and 3-way CrossFire multi-GPU setup, NVMe SSDs, Intel Optane Memory, XMP, RGB LED lighting, UEFI Dual BIOS, DDR4 4133+(OC) memory, U.2 connector and more. So if you are thinking of getting an Intel 7th Generation Kaby Lake processor for your gaming PC then these affordable and powerful Kaby Lake motherboards should be a great companion to it. These Kaby Lake Motherboards can also be used with the Intel Skylake processors. If you have any queries about these motherboards or your gaming build then feel free to ask me by leaving a comment below. It is a solid motherboard and will not let you down. Also it comes with great features. Go for it. Sir I have an i5-7400 processor. and I’m having a problem looking for a cheap mobo that is capable of a 7th gen proc. I hope for your fast reply. thank you very much. How much is your budget for the motherboard?